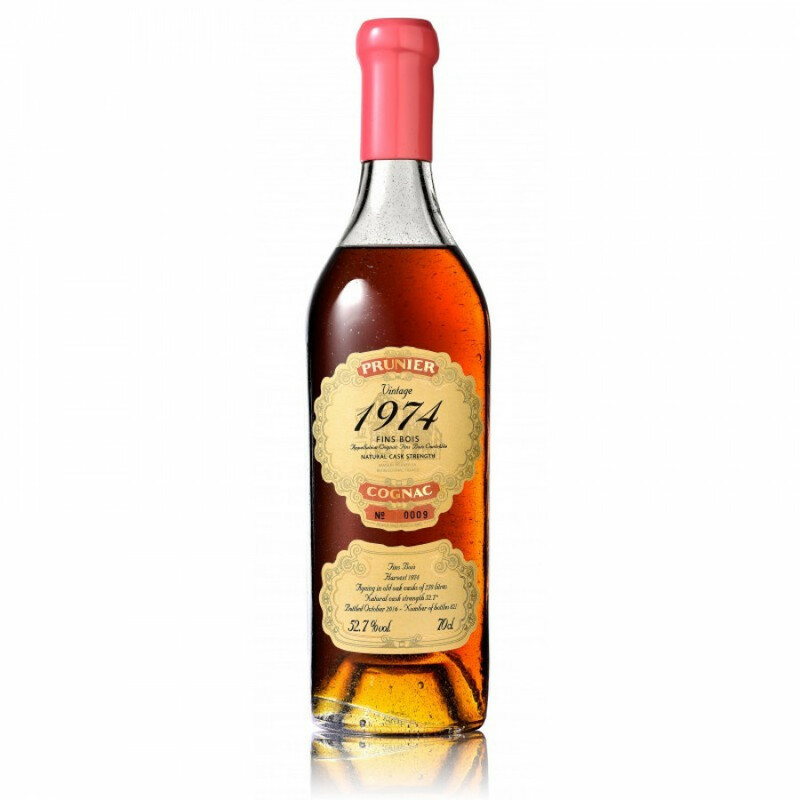 The Prunier 1974 Vintage Fins Bois Cognac is a cask-strength offering from this traditional Cognac house. At 52.7° it packs a lot of punch, but manages to remain remarkably smooth and well balanced. As its name suggests, this is a craft Cognac from the harvest of 1974, made up solely from eaux-de-vie from the Fins Bois terroir of the region. This growing area is becoming increasingly sought after, as grapes grown in these soils have their own characteristicts that are unique to the region. Enjoy the delicious aromas that unveil at the beginning of your sensory journey. And the palate doen't disappoint either, evolving as you hold the liquid in your mouth, and reaching a crescendo in the strong, yet rounded and ultimately satisfying finish. A great Cognac for anyone who appreciates the finer things in life.